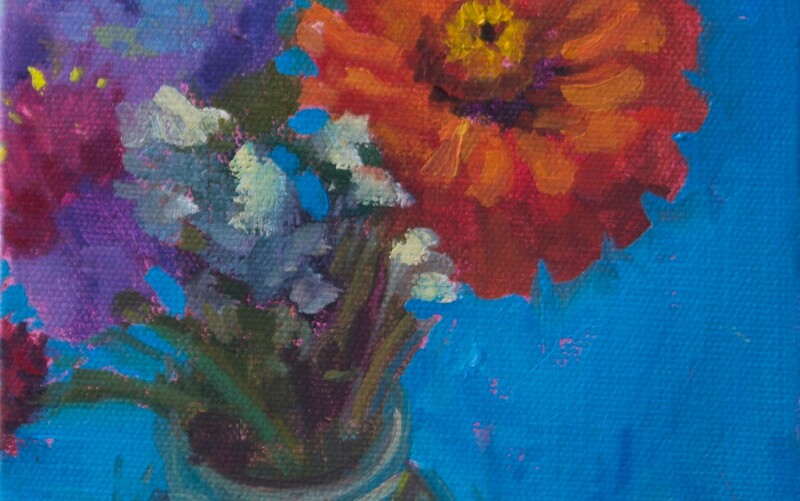 Learn to go with the flow with paint: Making marks and bold marks of color we will create still life paintings of summer bouquets. Include the drips, contrast, areas of thick and thin paint, starting with color we will explore a floral subject matter with oil painting. Creating studies from life with painting exercises and get out of our heads and into the moment. Using a limited palette and big brushes, we will paint simple things, enhancing our ability to see, be playful and to catch the first response to the subject matter. Increase your ability to translate what you see into strong paintings. There will be daily demos, 3 – 4 studies per day and fun. Lunch, beverages and snacks included. These two workshops will be in the barn and limited to 7 participants. Saturday & Sunday, 9 – 4 pm Fee: $300.